your range may not look exactly like those shown. © 2007 Electrolux Home Products, Inc.
with the best service possible. Your satisfaction is our number one priority. We know you’ll enjoy your new range and Thank You for choosing our product. We hope you consider us for future purchases. 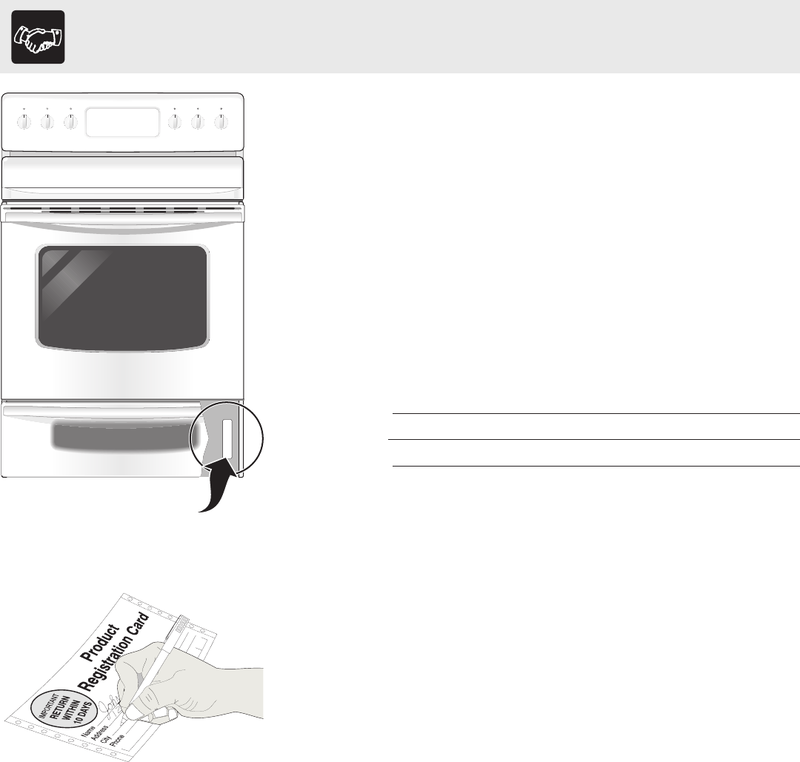 This Use & Care Manual provides specific operating instructions for your model. Please record your model and serial numbers below for future reference. completely, signed and returned to Electrolux Home Products.